Once upon a time, years ago here at Clear Fork High School, there was once a dance held in the month of February called “The King of Hearts.” It was a type of winter formal held for both upperclassmen and underclassmen. The King of Hearts is a more casual version of homecoming in a sense, and instead of voting for girls for the court, boys are voted in and there is a King of Hearts crowned. Also, this time it will be Sadie Hawkins style, which means that it is girl’s choice, so instead of the guys asking for a date it’s all up to us girls! The court for this year is freshman Bruce Swainhart, sophomore Nash Bilbee, junior Brandon Patterson, and seniors Mason Cox, Thomas Staab and Tanner Winand. The King of Hearts dance will be held on Saturday, February 17th from 7:30 pm to 10:30 pm. The ticket price is $7, but if you buy your “match” results from the questionnaire everybody took, then you can buy your ticket for only 6$! And we all know what you’re thinking, that it is going to be a Valentine’s Day theme right? Wrong! This year’s King of Hearts dance is going to be Beach themed from the leis, to the Hawaiian shirts to wishing for warm weather. More information about the dance is posted outside of Mrs. Golden’s room and around the school. See you there!!! To most schools, President’s Day is just another day off (but not for Clear Fork. . .) and many of us don’t actually realize the importance of the holiday. President’s Day is celebrated this year all across the United States on February 19th.Every year this day is recognized on the third Monday of February. Many ask “Why celebrate President's Day and how did this become a holiday?” President’s Day was founded in 1885 in remembrance of George Washington , the first President of The United States of America. Originally the holiday was celebrated on February 22 then was changed so workers could have a three day weekend. About 80 years after George Washington's death, President Rutherford B. Hayes signed the holiday into law. This was the first law signed in to celebrate an individual person as a holiday. In the 1960’s the Uniform Monday Holiday Act included Abraham Lincoln's birthday to the holiday, making both of the influential presidents birthdays recognized on one day. After this the name of the holiday was changed from Washington’s Birthday to President’s Day. Some states honor different presidents on this day including Thomas Jefferson and for this reason the holiday is to acknowledge all Presidents that have served in office. History.com Staff. “Presidents' Day.” History.com, A&E Television Networks, 2010, www.history.com/topics/holidays/presidents-day. The month of February isn't centered only around Valentine's Day. February 13th is a day set aside to celebrate friendship between women. Galentine's Day was created by Leslie Knope on the TV show Parks and Recreation. Instead of celebrating with your significant other, take a day to celebrate the joy of female friendship. Over the years, this fictional idea has become a real life holiday. Women have started to celebrate Galentine's Day after the idea was born in the year 2010. To celebrate, girls can have a sleepover, go to dinner, see a movie, or simply send their friend flowers. There are countless things that you can do to celebrate your friendship. Leslie Knope said, "Every February 13, my ladyfriends and I leave our husbands and our boyfriends at home, and we just come and kick it, breakfast-style. Ladies celebrating ladies. It's like Lilith Fair, minus the angst. Plus frittatas." Don't forget to show appreciation to your friends as well as to your significant other this February. As all of you know, Student Council tried a new Valentine's Day activity this year. Each student was asked to truthfully answer the questions on a “Matchmaker” worksheet. It asked you questions and was designed to go through and calculate each of your answers. It then took your results and compared them with those of your classmates. To get the results, you were asked to purchase them for two dollars a piece which then granted you a one dollar off coupon on your dance ticket. On the results sheet, it listed the top 15 matches in your grade, the top 10 from other grades, the top 10 best girl friends/ guy friends, and top 5 most opposite boys and girls. It also included things like mystery matches, zodiac matches, this day in history, Chinese/western horoscopes, your birthstone, celebrity match, birthday trivia, biorhythm chart and etc. Many students found this activity fun and some were surprised if their results didn't include any of their friends or S/Os. Here are some reflections of this activity from your classmates. When you think of Valentine’s Day you probably think of hearts, chocolates and balloons. Valentine’s Day is celebrated all over the world by many people in many different ways. We all celebrate this day on February 14, but why February 14? And why is it called Valentine’s Day? Many of us, (including myself) don’t know how this special day got it’s name or how the day came to be. With all these days off, and all the fun everyone has had , we now have to make these days up. Hopefully we no longer have these crazy snow storms and cold weather that give us these days off. We don't want to come in when we don't have to! The 2018 Winter Olympics are here! The Winter Olympics are being hosted in PyeongChang, South Korea. Team USA has more athletes in PyeongChang (242) than they ever have for the Winter Olympics. The opening ceremony was held on February 9. The iconic American designer Ralph Lauren designed a parka and a bomber jacket for the ceremony. Both jackets were equipped with special heating systems that last up to 11 hours. Additionally, Team USA wore jeans, patriotic sweaters, navy hats, suede gloves and boots. To view the Olympics you can watch it on NBC and NBC’s website to live stream. One way to get more information on the Olympics is to check out the official website at https://www.olympic.org/. Here you can find what athletes are competing and their accomplishments. Skeleton? Curling? Not sure what a specific event is or the terminology that is being used? You can watch short videos that give you a quick overview of the event. Follow Team USA as they compete against the world for the most golds and most medals. Follow their progress online and on tv. The International Olympic Committee. The International Olympic Committee, 13 Feb. 2018, https://www.olympic.org/. Accessed 13 Feb. 2018. What to Do Next Week? Attend the Talent Show! The Clear Fork High School Creative Publishing Staff is excited to announce this year’s annual Talent Show! This year we have a large variety of incredible acts. From singing to stand-up, we’ve got it all! With featuring acts from our Girls Basketball Team and the Valley Girl/Cheerleading group, it’s bound to be a spectacular time. Our staff has put a lot of work into this, and so have your friends, so, come out, support your them! We really hope to see you this Wednesday in the auditorium at 6:30. Bring friends, family, your pets (not really), and don’t forget your $5.00 for admission! Me: In your opinion, do we have the right to be skeptical about all of these church and state run ins where they are not separated? Mr. Shields: I do NOT think you’re being too sensitive about it. The Constitution matters. Legal precedent matters. Faculty and staff cannot endorse the practice of any particular religion. What if a Muslim family moved into the Valley one day? What if a Muslim kid becomes valedictorian and wants to pray to his god during the graduation ceremony? Me: Why do you think students try to alter the thoughts of their peers? Mr. Shields: Students probably do this most of the time with what they feel are the best of intentions. Their churches PUSH them to evangelize … to “witness” to their classmates. They are taught to feel guilty and somehow less Christian-y if they don’t… as if they’re ashamed of their faith. Me: Why is religion such a “hush-hush” subject in school? Mr. Shields: Do you really think it IS a hush-hush subject? Do you mean OTHER religions? Because I think, especially in the Valley (though maybe I’m wrong), students freely talk about their religion without fear of persecution or being made fun of or being told to hush. I also sat down with Mr. Echelberger, our American Government teacher, and asked him about the importance of sticking to the constitution. You may be wondering, what’s the whole point of this article? By no means am I bashing on any religion or religious group, I’m just simply raising awareness that there is a line that should not be crossed and when someone asks you to stop. All-in-all we are a public school and under the Constitution there should be a separation between church and state. Don’t agree with someone else’s opinions or beliefs? Cool. Trying to persuade them to think differently because you don’t agree? Not cool. Let’s try to come together as a community and be more accepting of those around us and become more educated on the topic. “New year, new me” is a commonly used phrase that many of us hear during the beginning of the year, but how many actually stick with that phrase throughout the entire year? Do we really make a change and follow through with our ambitions? Or do we just say we are going to make a change but then remain the same? According to one commonly cited statistic, only eight percent of people actually keep their New Year’s resolutions. Whether it’s because people are overly ambitious at the beginning of the year and they set their standards too high, or they lose motivation/discipline, New Year’s resolutions are not always kept. However, many studies show that setting smaller goals to obtain a larger one will be much more beneficial. So this year when thinking about your New Year’s resolutions, don’t just “think big.” Think small first because the smaller the goal, the more likely you are to achieve it. Not only that, but it will show you how important the little things in life are. Even though you may not be able to see the “big picture,” focus on the little things, and everything will fall into place. Soon you may realize that the little things are not little, and they often lead to much greater things. Everybody loves winter break, it’s the halfway point in the school year and everybody is ready for a few weeks off. Like summer break, now we are all curious about what everybody did so here is a run down of some of your peers activities on their days off. A popular scene over break was the movies. Everybody loves a good day out with friends and a great movie to go along with it. Maddie Pore went to see A Dog's Purpose over break. Even though everybody loves a great day out, there also was a lot of nothing done. Being a lazy teen and laying on the couch all day is one of the best feelings in the world and is much appreciated over break especially by Collin Weiner, and Levi Hammond. There are also the working kids because being a couch potato is not as fulfilling to some people as it is to others. Justice Stevens, John Witschi, spent their time making a few extra dollars over break. Between Wendy’s, McDonald's, and Snow Trails, the Clear Fork kids are well employed. Then you have the travelers who will do anything to escapes the cold and snow of Ohio. Alex Carter went on a vacation to Florida and Emerson Durham went to California to visit family. Last but not least, people spent great time with their families. 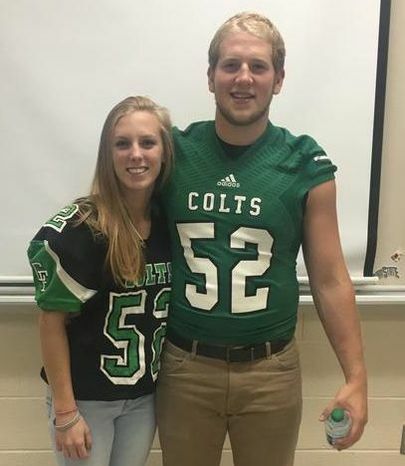 Between 3 Christmas dinners, Bradley Johnson and MacKenna McCune were stuffed full of food and family. I think it is safe to say that Christmas break is one of the most enjoyed times of the school year and by the end we have all made memories that will last us a lifetime. Starting off high school can be both exciting and frightening. From not knowing where you are going to being surrounded by a bunch of total strangers that are older than you. Sometimes all a freshman needs is reassurance and a little advice. We asked four freshman on what they think one of their hardest classes may be and a senior to give them some advice. Second semester isn’t as daunting as the first but is still pretty close. Once you settle in and learn to walk on the right side of the hallway, everything will flow smoothly. Have you ever wondered why we typically eat pork and sauerkraut on New Year's Day? Or where this tradition even came from? Well for a little background information, sauerkraut is shredded cabbage that is fermented in many different lactic acids and bacterias. Sounds gross huh? Well this is eaten alongside pork on New Year’s Day as a tradition started by the Germans. Sauerkraut in German literally means “sour cabbage”, which leaves little to the imagination of what it tastes like. This dish is believed to bring good luck for the following year. While the family is seated at the table, everyone wishes the other members at the table as much wealth and goodness as there is shreds of cabbage in the pot of sauerkraut. Pork is paired with sauerkraut because for ages the pig has been a symbol of luck and fortune. So by eating this dish (with a rather acquired taste) at the beginning of the new year, you are ushering good luck and fortune into your life. While yes, this is just superstition, Id be willing to eat a little sauerkraut in turn for the possibility of a good year! Traci. “Why People Eat Pork and Sauerkraut on New Year's Day.” 98.1 The Hawk, 26 Dec. 2017, 981thehawk.com/pork-and-sauerkraut-for-the-new-year-recipe-3/. The definition of talent is a natural aptitude or skill. Do you have talent? If you answered yes, the yearbook staff invites you to join us in being apart of Clear Fork’s annual talent show that will be hosted on January 24. In order to be involved you must sign up to tryout, either in the office or near Miss Keating’s door. You will be asked to tryout during your free period. Over the years students have showcased numerous talents including singing, dancing, comedy acts and many more. Be creative, you can perform solo or you can get a group of your friends together, however, it is asked that you take no longer than five minutes for your performance. After you make it through tryouts, there will be a mandatory rehearsal held in the auditorium after school on January 22. Even if you are too shy to get up on stage and show off your talent the Creative Publishing staff encourages you to come and support your classmates that are going to be involved. Don’t miss out, be in the auditorium on January 24, at 6:30 to see what talent Clear Fork has to offer. What if you woke up on Christmas morning and underneath your Christmas tree was your favorite celebrity? You wake up, your hair’s a mess, you haven’t brushed your teeth yet, and there are dark circles underneath your eyes. You walk into the living room, and sitting beside your tree is the celebrity you had wished for. Your jaw drops, and your eyes open wide. There they are, anxiously awaiting your arrival. You are completely at a loss for words, and you don’t have to look in the mirror to know that your appearance is not what you would have planned. This month, the SADD committee is focusing on benefiting the women's shelters around our area—with your help! We have paired up with two of our rival schools, Ontario and Buckeye Valley, to help us as well. So, when you go to the boys basketball game on December 14th against Buckeye Valley, you can exchange your entrance fee for new women's products such as: shampoo, conditioner, lotion, soap, feminine hygiene products, razors, towels, etc. Get into the holiday spirit and help these ladies out! They will appreciate it so much, and we hope that together we can make a big difference and help out some lovely people in need. Continue watching for more opportunities to help because we, the SADD committee, plan on doing this multiple times throughout the basketball season for all sorts of charities! If there are any charities that YOU would like for us to help out, just speak to Miss Kodger, or any other SADD member. We hope to see you and your participation at the game! 'Tis the season of love, joy and cheer. What better way to represent those things than gift giving. Many people have a hard time coming up with money or feeling like they have to get the newest gadget for it to be a respectable present. The good thing is that you do not have to jump on the bandwagon and spend a fortune buying expensive Christmas gifts. Here are some ways that you can be creative and still make someone’s day without breaking the bank and or getting the latest item. Are you looking for a great gift for your mom, aunt or grandma? Looking for a general gift? A plant: Who doesn’t love plants!? You can either buy the plant in its own, already rooted pot, or just buy the plant alone and grow it yourself inside something creative. Creative pot ideas include a cute mug, handmade pottery, old work boots or rain boots, a crock, an old box or drawer, a bushel basket, or anything that the plant fits in! Mugs make cute gifts for everyone! A tie blanket: Tie blankets are an easy, perfect gift for anyone who likes to be cozy! Looking for a friend gift? A perfect way to get into the Christmas spirit is through crafting! Kick back and do some “Christmas shopping” while enjoying the comfort of your own home! I hope some of these gift ideas benefit you and your loved ones this holiday season. Merry Christmas! Many clubs this December are trying to get everyone into the holiday spirit! There are several events that will be occurring soon, so get involved! Last Thursday, December 7th, Student Council showcased the movie Elf here in the auditorium with free water, popcorn, and candy canes! Student Council also received a tree donation from Wade and Gatton and have created a mitten tree. So bring in mittens, gloves, hats, and scarfs to donate to the women’s shelter! Student Council is also pairing up with the FFA to promote a canned food drive. The FFA also is having a Christmas spirit week so make sure you participate! Tomorrow, Thursday, wear your Christmas hats and sing some karaoke. Friday there will be the traditional ugly sweater contest! So participate and get jolly! The holiday season isn't the same without the traditions we do each year with our friends,family,and loved ones. Here are some of the traditions that make people around our school's holiday season go from ordinary to extraordinary. When reading this list it might give you some ideas of new traditions you can use to make your holiday season special. Have you ever wanted to take your special someone on a date to get you both in the holiday spirit, but you have no idea where to take them. Here are a few festive places/things you can do with your special someone to! Ice Skate together. Whether you’re an amazing ice skater or not so good at it, ice skating can make a great date. Make a gingerbread house together. Bake together. Baking is another great holiday tradition enjoyed by a lot of people around the world. It’s a great way to have fun together and a way to get in the holiday spirit. Have a snowman building competition. Make stockings for each other. Have a competition to see who can create the ugliest Christmas sweater. As we all know, one of the most loved seasons is coming up right around the corner... CHRISTMAS. Now everybody has their own reasons for being excited, from the presents to their own unique family traditions. Since everybody celebrates it in their own unique way, I thought it would be fun to list some different ways that Christmas is celebrated from around the world. France- Instead of Merry Christmas, “Joyeux Noel” is said. Réveillon, which is the main Christmas meal is eaten early on Christmas eve after the midnight church service. Denmark- A Pakkekalender is used to count down the days till Christmas and in each day there is a gift for the children. Another tradition is when there are stamps/stickers/seals created, sold and the proceeds are donated to a charity. Brazil- Many Nativity Scenes known as “Presépio” are in homes and churches throughout the month of December. Children will often leave socks by a window and at night when Papai Noel (Santa Claus), comes he will trade it for a gift. Estonia- Like Brazil, children will put socks by their windows, but instead of Santa trading it an elf puts sweets in it. Some of the traditional foods eaten on Christmas include things like blood sausage, sauerkraut, tangerines and gingerbread. Yum! There are so many different traditions during Christmas from hanging up socks to selling stamps for charity. Some people like to stick to traditions while others like to try new things, but no matter how you celebrate, it is clear that Christmas is a time that brings people together no matter where they are from, or their beliefs. "Christmas Around the World." WhyChristmas.com, 2017. WhyChristmas.com, Accessed 10 Dec. 2017. “I think going to Time Square on New Year’s Eve and watching the ball drop would be so fun,” said Michael Ebert. Charles Tuttle loves the military and going on trips to see different military bases with his family around the holiday season would be his dream. “I think going and experiencing New York during the holiday season would be fun. Catching a broadway show or two while you are there with someone special would be a dream,” said Tessa Berry. Kodi Beachy says that her bucket list would simply be spending time with her family during the Christmas season doing simple things like watching Christmas movies, baking cookies and building snowmen. Christmas is truly the most wonderful time of the year and everyone has different ideas on how they want to spend it. Some enjoy time with family, some with friends but all with people we love. It doesn’t matter how you spend this holiday season and future seasons, if you surround yourself with people you love then home will feel like wherever you are and memories will be made to last a lifetime. Christmas truly is the most wonderful time of the year! The beautiful, snow covered trees and landscapes, the warm beverages, and the movies! Christmas movies make you feel like a kid again as you watch them, all covered up cozy in a blanket. No matter the setting, plot, or characters, Christmas movies always teleport you to a magical place where you can't help but feel warm and happy inside. The most aired Christmas movie in America is Home Alone, a 1990’s film about a little boy who didn't wake up in time to go with his family on Christmas vacation. The boy has to defend his home from robbers and creates elaborate traps to harm and scare off the intruders. The second most popular Christmas movie in America is Elf. Who doesn't know about Elf? It seems that everywhere you look around this time of year, you see Elf! In this whimsy meets New York, Buddy the elf can't help but feel different from the others. He learns he was a stowaway in Santa's bag one year and taken in by Papa Elf. Buddy leaves the North Pole and travels to NYC to find his father and help Santa to spread Christmas spirit! Finally, probably the best Christmas movie to cozy up to on a cold, winter day to watch is The Nightmare Before Christmas. This is more of a macabre twist on a Christmas story. Jack The Pumpkin King lives in Halloween Town and is the most horrifying ghoul in town! He begins to feel like he doesn't know who he is anymore and goes for a walk. He stumbles upon a portal to Christmas Town where he is dazzled and amazed by everything Christmas, so much so that he decides to kidnap the real Santa Claus and take over Christmas. Christmas movies are truly magical and definitely make this the most wonderful time of the year! Have a New Year's Party, get with your friends and listen to music and watch movies and the New Year Eve shows that are on before and after the ball drops. Have a White Elephant exchange with the Christmas gifts you didn't like. Sing karoke with your friends and have fun. Spend time with your family, you could stay in and watch movies with them or go out and do something fun. Have a sleep over with your friends and celebrate the holidays together. Watch the ball drop with your friends and family at midnight! Over the break make sure to stay safe and warm and spend time with friends and family. Some other things that you could do over break that are fun are to do puzzles, play games, go snowboarding, make cookies, have family dinner, build a snow fort, or go sledding. The Colts finished the season with a remarkable record of 11-1. They took they're only loss, and their last loss of the season to Bellevue. Although their season was cut short this week, the Valley couldn't be any more proud of what their boys have accomplished this year. Pick up the cheese! Pick up the cheese! Woo! We all know that chant and if you don’t, where have you been all school year?! The 2017 Clear Fork Marching band halftime show has showcased the hit "Monster" by Skillet, "Shut Up and Dance" by Walk The Moon, and "Victorious" by Panic At The Disco, and of course with a few exceptions for the famous block colts, annual senior dance, and senior night. So far this marching season has been a bit hectic, to the band having to memorize new sheets of music every week by that Friday, learning new routines, and of course with the football team making it to the playoffs that elongated the season just a bit. Having to battle the cold is just one obstacle the band must face when entering playoff season. Have you ever attempted to play a brass instrument when your lips are frozen and so is your mouth piece? That is an obstacle all by itself right there. Our band doesn’t get enough credit for the hours that they have put in to create such an awesome halftime show, awesome shorties, and awesome routines to wow the crowds. It is about time that the band received recognition for how amazing they are. A simple, “Hey great show!” just shows the members that they are appreciated and their work has been recognized. Remember to always pick up the cheese!! As the winter sport season is quickly approaching, all the teams are preparing with practices and scrimmages to start off their season. As all the basketball players work on posting up and taking the ball up the court, and the wrestlers are in the weight room trying to make weight, the seniors prepare for their last season and the freshman are eager and nervous for their first high school season. The Boys Basketball team is trying to enhance their talent and record for this upcoming season. Senior, Chance Barnett explained that his expectations are high, we want nothing less than "dubs…and a lot of dubs." Their first game is December 1st at Lexington High School at 7:30. Their first home game is December 14th against Buckeye Valley High School at 7:30 -- be there or be square. The Girls Basketball team has raised their expectations for this season. As Seniors, Whitney Snavely and Tabitha Hamilton have explained that they want nothing more than to have this season be the best one yet because it is their last. The team has been practicing for two weeks now and have had multiple scrimmages and it seems like things are looking up for this season. Their first game November 28 at Highland High School at 7:30. Their first home game is November 30 against Mapleton High School at 7:30. Be there. The Wrestling team is eager to begin their season. They have been in the weight room for weeks preparing for this season. Senior, Garrett Crowner explained that this season will be the best yet, he said that he wants to "go get them and take some names" for his last season. Their first match is November 18 at Glen Oak High School with 3 other teams at 10:00am. Their first home match is December 6 against Shelby and Bucyrus at 6:00. The Cheerleading Squad shift from their fall season to winter season. Junior, Reagan Marshall, explained that she is excited about this season and wants this season to be the best one yet. Their first game is December 1st at Lexington High School at 7:30. There first home game is December 14 against Buckeye Valley High School at 7:30. Be there to support them! These teams would be very delighted to see their peers at their games to support them. BE THERE! This year Veteran’s Day is Saturday, November 11. In honor of it we observed the holiday on Thursday the 9th with an annual assembly held in the gymnasium. This year’s assembly was held in the memory of Steven Smith, the only person from the Valley to be killed in combat. Smith’s family attended the ceremony and a more significant plaque was presented to hang in the gym explaining the significance of the flag that also hangs in the gym. Speakers consisted of his relatives, as well as his close friends. “We wanted to change it up this year. We usually have a speaker tell of the importance of Veteran’s Day, which of course is important, but it was a good switch up.” History Club member Macy Wade explained, “We’ve always had that plaque up on the wall in the gym and we wanted to explain the significance.” This flag should stand as a reminder to always thank our veterans for the sacrifices they make for us. After all the tragedy from the hurricane, Texas still can’t relax. Last weekend in the small town of Sutherland Springs a man by the name of David Kelly opened fire in a local church. The former Air Force airman was removed from the military with a bad-conduct discharge. He had a history of domestic violence and was convicted for beating his first wife and son. His criminal records were never recorded, which allowed him to purchase the AR-556 rifle and 2 hand guns he used in the assault. He left 26 dead and 20 wounded with 11 still in the hospital being treated for their injuries. The motive for the attack was not clear in the beginning but there were reports of a dispute between Kelly and his mother-in-law who periodically attended the church but was not present on that tragic Sunday. During the attack, two men heard the shots ringing out from the church and sprung into action. They shot at and chased Kelly to his car. He was found dead by the police by what appeared to be a self inflicted gunshot wound. There was memorial service held in memory of the victims and the church will be demolished and a memorial rectified in its place. Lauer, Claudia. “Texas Church Shooting Victims Honored, Funeral Held.” ABCNEWS. Associated Press, 11 Nov. 2017. http://abcnews.go.com/US/wireStory/community-honor-church-attack-victims-veterans-day-51079325 11 Nov. 2017. ​Even though the guys dominated their own football season, we can’t forget about giving the girls their own shot at playing. That’s right, it’s that time of year for PowderPuff Football! How PowderPuff works is each of the classes form a team and they choose 3 football players in the same grade and one teacher or coach for their team to help prepare them to play. PowderPuff is a great opportunity to raise money for a good cause, for the girls who participate to have fun, make new friends and get a t-shirt to remember it! This year the PowderPuff tournament will be held on Saturday, November 18th, at 6 pm. Players will pay $2 and donations are welcome and appreciated for the spectators, all money raised will be donated. The girls and coaches who participate will usually make shirts but if you don’t want to play and just have a shirt you can purchase one! Just go and talk to Hallie Gottfried, Abby Willey, Kaitlin Wertz or Macy Wade depending on what grade you would like and order one, easy as 1, 2, 3! See you there! 1. Have you ever eaten a TV dinner before? Well, did you know that in 1953, a worker at Swanson over-estimated the number of frozen turkeys that American’s would purchase . . . by 26 TONS! Instead of throwing it all away, they thought, “Why not slice it up, and repackage it with sides?” and thus the TV dinner was born. 3. I know you all think that turkeys go “Gobble, Gobble!” But in reality, only the male turkeys “gobble’, while female turkeys “cackle." 4. Ben Franklin actually wanted the turkey to be our national bird because he found that it was a “much more respectable bird” than the eagle, which he said had “bad moral character." 5. Did you know that a turkey under 12 weeks-old is actually called a fryer-roaster. Poor things, they’ve always been doomed! 6. Big Bird, from Sesame Street, was made completely out of turkey feathers! The costume designers are super picky with the feathers they choose, only one out of ten feathers are chosen! 7. Minnesota is the state with the most turkeys, ranging all the way to 46 million turkeys in 2015! 8. Domesticated turkeys can’t fly, but wild ones certainly can! They can fly up to 55 mph and run up to 20 mph! 9. Despite what you may think, America isn’t the only country that celebrates Thanksgiving! Our neighbors to the north, Canada, celebrate too . . . on the second Monday of October! 10. Eight out of ten Americans agree that they enjoy the leftovers of the dinner as opposed to the main meal. What about you? Ahmed, Saeed. “9 Thanksgiving facts we bet you don't know.” CNN, Cable News Network, 21 Nov. 2016, www.cnn.com/2016/11/21/health/thanksgiving-fun-facts-trivia-trnd/index.html. Grandparents.com. “Wow Your Family With These 15 Fun Thanksgiving Facts.” The Huffington Post, TheHuffingtonPost.com, 23 Nov. 2016, www.huffingtonpost.com/entry/wow-your-family-with-these-15-fun-thanksgiving-facts_us_5835b676e4b01ba68ac3bb65. A Reason to be Thankful . . .
Black Friday is known for shoppers waiting in enormous lines taking advantage of holiday sales after Thanksgiving dinner. The term ¨Black Friday¨ came about in 1939 when retailers notified President Franklin D. Roosevelt that Thanksgiving fell on the last day of November. In that year, there would have been a small window before Christmas to get all of the holiday deals and shopping done. Thanksgiving is always on the fourth Thursday of November, changing the date was not an option. The president came up with the idea of a ¨post-Thanksgiving¨ sale, which is now known as Black Friday. Over the years the day after Thanksgiving, Black Friday, has become the busiest shopping day of the year. In 2016, there were 101.7 million people that shopped. Over the years Black Friday deals have been released earlier, meaning less people go shopping on Black Friday itself. Another reason there are less shoppers on this Friday is because of Cyber Monday. Most people would rather stay home in their pajamas looking for deals online. It is estimated that online shopping will increase 11 percent from 2016. People don't think it is worth going out when there are long lines, traffic and rude shoppers. If you do decide to go Black Friday shopping this year you need to be aware of a few things. First, make sure that you know about the deals that are being offered on Cyber Monday. Also, some store managers are now allowed to match or offer ten percent below the competitor's price. Also, you can get a mobile app that will notify you of the best deals and where to find them. The app that you can get from the app store is FatWallet. Lastly, make sure you are careful and observant when driving and searching for your desired gifts. After celebrating thankfulness with your family over the holiday, you can choose to participate in Black Friday shopping in order to prepare for the next holiday! Amedeo, Kimberly. ¨What is Black Friday? Sales and Trends¨ The Balance, 2 Nov. 2017, https://www.thebalance.com/what-is-black-friday-3305710. 8 Nov. 2017. Some other things that you can do over break are to help cook Thanksgiving dinner , bake pie, watch football, go shopping, play board games with your family, go out to eat, go to the movies, go pumpkin or apple picking, or any activity that involves the things that you are thankful for. How To Adjust To Daylight Savings Time! Whether you’re losing an hour of sleep or gaining an hour of sleep daylight savings time can affect your personal health, sleep habits, and lifestyle. Adjusting to daylight savings time is all in how you eat and sleep. Here’s how you can help adjust yourself to daylight savings time and make sure your health, sleeping habits and lifestyle stay the same. Exercise during the day! Exercising makes our bodies tired and releases serotonin, which makes us tired. Try not to exercise too late you might get restless, the earlier you exercise the better. Keep your naps SHORT! I love long good comfy naps but during daylight savings time I have to keep my naps short and so do you. Napping during daylight savings time can mess up your sleeping habits, the closer you sleep to your bedtime the more likely you won’t want to go to sleep. Keep your naps to a maximum of 20 minutes. Don’t eat late! You may start to feel hungry later or earlier than usual, it's perfectly normal. But just make sure your aren’t eating too late or too early, it’ll help your body adjust to the new time change. Avoid all caffeine ! Try to avoid any caffeine before you go to bed - it can make you restless and keep you up. After 8 O’clock don’t eat or drink any sugar. No pop, candy, coffee, or junk foods. A little snack before you go to bed is okay just don’t eat too much it can keep you up at night. It is that time of year again, cool weather, Friday nights under the lights, and of course Homecoming. As you know our student body voted for the homecoming court not too long ago. The 2017 court involves Freshman Avery Wend, Sophomore Lauren Mellott, Junior Bailey Romoser, and Seniors Erika Robinson, Whitney Snavely, and Macy Wade. Tonight is the big night, football game against Ontario on our field, showcase of the Glow Show performed by the Pride of the Valley, and the crowning of the Homecoming Queen. “I would like to be Queen because it truly would be an honor, but I would be extremely happy for Erika or Macy if they won because we are great friends,” says Senior Whitney Snavely. The girls have done so much to prepare for this night including dress shopping, taking photos programs, and attending the bonfire. Senior Erika Robinson was honored to make it on the court alongside two of her good friends. “My favorite part so far is being on it with two people I care about,” says Erika. The girls have chosen a long, navy blue dress with their choice of style. 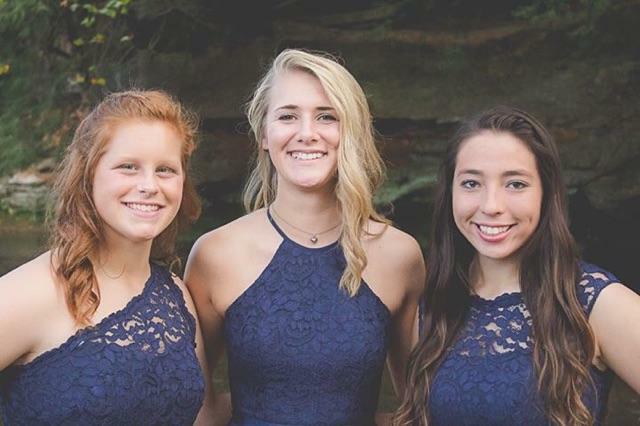 Senior Macy Wade inputs her opinion about the dresses, “I really like the dress and I like how each senior has a different style because they are all unique.” The crowning of the queen will take place during pre-game and the football game will start promptly after. Homecoming has been around for quite some time. It has actually been dated all the way back to the early 19th century. While often disputed, the NCAA credits the University of Missouri for the first homecoming event. In 1919, Missouri’s Coach and Athletic Director Chester Brewer invited alumni to “come home” in celebration of their annual game against their rival, the University of Kansas. The game ended in a tie, but was celebrated by 10,000 alumni with a parade, a spirit rally, and a bonfire. It was a huge success that eventually found its way into many colleges and high schools across the United States. Today, homecoming events often feature the crowning of a “queen,” a football game, alumni celebrations, parades, tailgate parties, dances, and more. 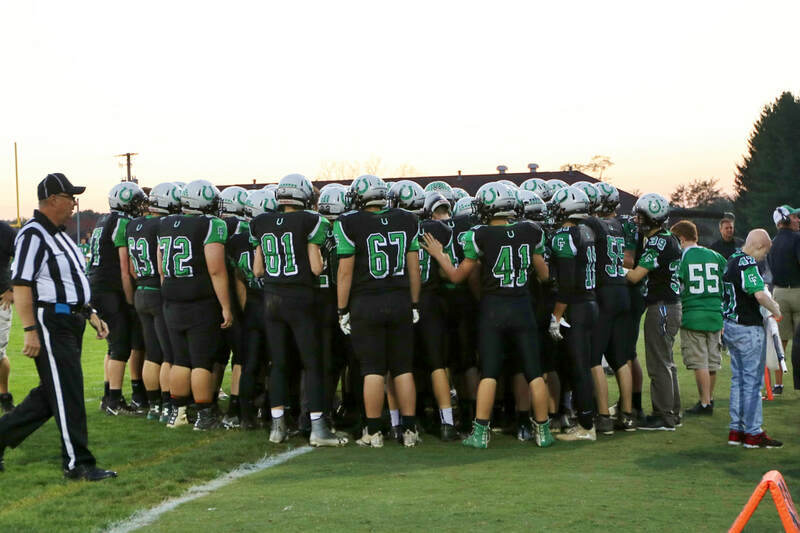 At Clear Fork this year, there are many events planned for our homecoming event. Throughout the week, Student Council had put together a Spirit Week as an encouraging way for students to get excited about Homecoming. On Thursday night, Student Council also held a community bonfire, open to students, teachers, and anyone who wanted to show support. Friday during school there is a pep rally in the gym being held to get students excited about the remaining homecoming events. The football game of course is tonight, and is being played against the Ontario Warriors. The alumni in the band come home every other year, and unfortunately this year they will not be playing with the high school students. Also at the game tonight, the crowning of the homecoming queen will take place. The contestants for this year are Erika Robinson, Whitney Snavely, and Macy Wade. Tomorrow, the Homecoming dance will be held at 7:30 pm. Bring your wristband and your date, and make the most out of your night! Cramton, Michael, author. 10 Fun Facts About Homecoming. Active Gear, https://www.active.com/football/articles/10-fun-facts-about-homecoming-882318?page=1. Accessed 10 October 2017. Anderson, Lauren Bayne, author. The History of Homecoming. September 30, 2010, https://www.fastweb.com/student-life/articles/the-history-of-homecoming. Accessed 10 October 2017. Break out your red clothes, Clear Fork, Red Ribbon Week is coming from the 23rd all the way until the 31st! For those of you that do not know what this is, Red Ribbon Week is an annual week that is participated in nationally. It is dedicated to raising awareness about alcohol, tobacco, and other drug and violence. The members of S.A.D.D are very excited to host a spirit week dedicated completely to raising awareness! Look out for bake sales during your lunch mods on the 24th, 25th, and 26th and dress up days throughout the week! Who knows, maybe you could win some special prizes for your participation? A portion of the proceeds from the bake sale will go to local charities and shelters. It is going to be a great week, so don’t forget to participate and listen to the announcements! To find out more about Red Ribbon Week, watch for the Red Ribbons posted on the outside of our members’ lockers and the posters all around the school. ​As everybody knows Halloween is rapidly approaching and everyone knows that when there's Halloween, there’s costumes. This year the school is allowing teachers and students to dress up on Halloween (Tuesday, October 31st), so be sure to dress to impress or even to scare. There are so many different things to dress up as and you could dress up with a group, a significant other or even just do a solo costume. However, it's always hard to think of something when you need it the most, especially costume ideas. So to help out a little bit I looked up some ideas for group, couples and individual Halloween costumes to help give some ideas on what to dress up as for this Halloween! 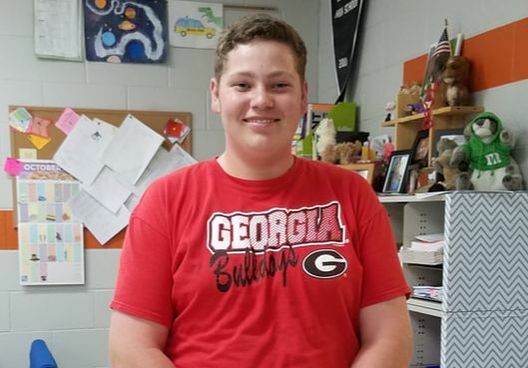 This months student spotlight is senior, Gage Wolfgang. Gage is a senior this year and has golfed for eight years and had been on the golf team all four years of high school. When asked what sparked his interest in golf he said he used to watch his cousin play and always wanted to play with him. 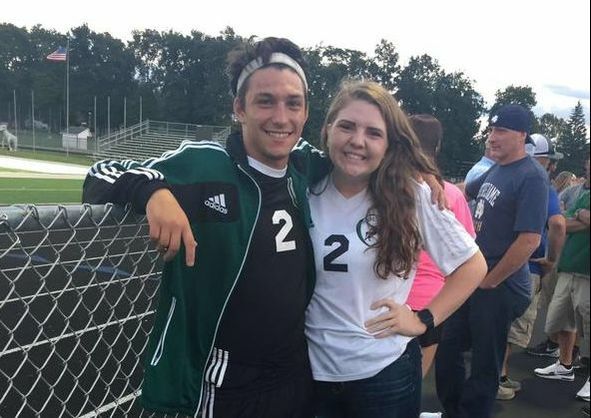 He really is a team player in a solo sport, "I was really excited that I was able to go to districts but also disappointed that we couldn't go as a team." Staying in hotels before sectionals with his team mates is one of his favorite parts of the season. It also doesn't hurt that they get out of school a few extra days. A piece of advice he would give to newcomers is to start as soon as possible, "The more you practice, the better you will get." Gage will be greatly missed by his teammates, Brock Dettmer said, "I'm really gonna miss his quick, funny, comments" It is no secret that Gage's quick wit and positive outlook made the game better to play everyday. This is the second year of operation, be sure to check it out and leave your own review! I am not the person who loves scary things but I do love fall. There are many things to do and look forward to that are still festive but they don’t have to spook ya. From watching the leaves change color, to drinking everything pumpkin spice, fall is fun for everyone! Here are some ideas of fun things that are still festive but not so spooky. Apple Hill Harvest Celebration: This is taking place on October 15th. From 12pm to 6pm you can head out to Apple Hill in Mansfield and participate in hay rides, apple butter making, bobbing for apples and much more. Not only is this celebration a fun fall event, but so is just spending an hour or so at the orchard on a Sunday afternoon enjoying the fall weather :). Honey Haven Farm: Every weekend through October, Honey Haven Farm has an October fun festival which includes pumpkin picking, corn mazes, hayrides, pumpkin slingshots, corn cannons and much more. As you can see, there are more things to do in the fall other than going to haunted house and watching scary movies. Also these events could act as homecoming alternatives. If you aren’t going to homecoming, each of these things are going on that weekend. To see more fall festivals and activities, click this link and follow the prompts to find fall fun near you! Student teaching is a college supervised experience for students to get a feel for the classroom before they graduate. Clear Fork welcomes two college students to the Valley who are going to be spending time in our classrooms teaching before they graduate. Our first student teacher is Mr. Savage who is teaching with Mrs. Vaughn in office applications and personal finance. Upstairs in the history department we have Miss Hedge that is working with Mr. Echelberger teaching our students about the government. In case you haven't had them in class, or had a chance to meet them, here's a chance to get better acquainted with them. 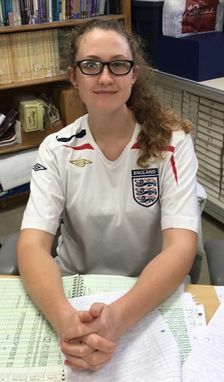 Our next student teacher is Miss Hedge who is currently obtaining her masters in education from Grand Canyon University. She also studied in history, integrated social studies and music. Miss Hedge will be at Clear Fork until November and then graduates on November 29th, which is also her birthday! After she graduates she plans on getting a teaching job in Columbus, and strives to teach high school world history. Outside of school she plays the violin in the Knox Symphony. She also teaches how to play the violin and directs the choir at her church. Over the summer Miss Hedge spent her time working on an organic farm. Something interesting about her is that she was born in England. When Miss Hedge was eight years old her family moved to America, she has dual citizenship. 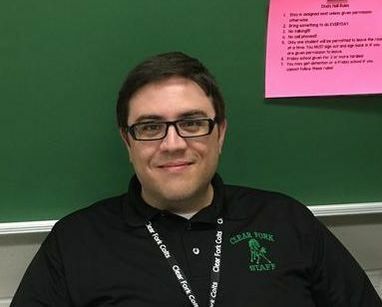 ​Our student teachers at Clear Fork aren't going to be in the district for long, it's highly recommended to go introduce yourself and get to know them a little better! Ride Horses - Audrey B. Most of the people that I interviewed said that they would want to carve pumpkins and have the football team go to state ! ​November is one of the greatest times of the year, at least in my opinion. The leaves are changing, the air is crisp and horror movies start to come out! I love horror movies! The intensity, sound tracks, and jump scares are my idea of a fun time. Not knowing when the antagonist is going to jump out at you really gets your blood pumping! However, not all Halloween based movies have to be scary. Cartoon Halloween movies were a big part of my childhood and many others. Here are a few of the students’ favorite Halloween movies. In Killer Klowns from Outer Space a ufo crash lands in a cornfield. The aliens that invade look like killer clowns. The small town of Crescent Cove is being destroyed by these alien clowns. The people have to defend themselves and fight off these demonic aliens. “The Nightmare Before Christmas is my favorite movie because of the incredible claymation and the dark twisted humor.” In the town of Halloween Town, Jack Skellington is the scariest of them all! He is given the title of Pumpkin King and everyone basically worships him. However, he feels like something is missing. He doesn't feel like being the king anymore and wants something new. When Jack decides to take over Christmas, everything falls apart. Santa is kidnapped and Christmas is almost completely destroyed. Friday the 13th may have you wondering if walking underneath a ladder and breaking a mirror would actually give you bad luck or leave you as your normal self. Don’t be a scaredy cat, read about the history of this day and some superstitions that go along with it. We may make jokes, but there are some people who are truly afraid of this day. Some say that Friday the 13th is unlucky because of Jesus’ last supper, where only 13 people were presented at the table on the night of his death, which also occurred on a Friday. There have been plenty of events that have occurred on this day, which terrifies most Americans, and even some around the world. Some think the number twelve is seen as a more complex number, it is seen as a ‘safe number’. The number twelve is seen as a more complete number because we have 12 months in a year, 12 zodiac signs, 12 Gods of Olympus, 12 hours on the clock, 12 tribes of Israel, 12 apostles of Jesus, 12 descendants of Muhammad, along with more. This occasion is so unlucky because of the bad occurrences that have happened in the past. Legendary rapper Tupac Shakur died on this day in September; it was one of the biggest tragedies in hip-hop. Some superstitions that go along with this day are not your normal day doings. On this day in December of 2006, 36 inches of snow fell on New York leaving the city in a standstill. So before you think about getting your haircut today you may want to reschedule, you may be the next to pass. Another is that if you break a mirror you will have seven years of bad luck. Most couples bearing a child are told to try and have their babies before or after a Friday the 13th and not on that day because that child is said to have a very unlucky life. One everyone should know, don’t walk under a ladder and don’t let a black cat cross you. Have your eye out this Friday! Why do you think Friday the 13th is lucky or unlucky? Pemberton, Becky. “Here's why Friday the 13th is considered unlucky and when it falls this year.” The Sun, The Sun, 12 Oct. 2017, www.thesun.co.uk/fabulous/2577935/friday-the-13th-superstition-unlucky-dates-2017/. With last year being the big presidential election year, many might think it's not important to vote or to register to vote but it is. Counties, towns, townships, and villages still vote for important issues like mayor, school board and levies. By voting you’re able to make your voice heard and get a say in how the government and society should be run. Local governments have more control over your everyday life than the federal government. Looking to educate yourself on the issues? It is very easy to research on how to vote and what will be on your ballot. Some things that are important to know before you vote is that not everyone near where you live will vote on the same topics. For example, someone living in city limits of Bellville will vote for issues different than someone who lives out of Bellville’s city limits. If you're a first time voter, you need to register. To get more information on how to vote and how to register to vote go to www.MyOhioVote.com. The last day to register to vote in the State of Ohio was October 10 this year. November 7th is the actual day to vote, unless you have early voting. ​Doesn’t affect you? Think Again! A topic that affects us as a school this year is our Board of Education. Our Board of Education has five candidates this year all hoping to fill the three spots that are open. Kyle Beveridge, Jim DeSanto, James Klenk, Jennifer Stallard and Amy Weekley are all in the running to be elected for Clear Fork’s Board of Education. Even though we’re young and, at times, might not feel like our opinion is important, we have a chance to make a difference. . .one vote at a time. Next Issue on Friday, October 13th . . . Spooky! Look for Halloween Articles and more! Welcoming New Teachers to the Valley! Clear Fork welcomes to the Valley two new Spanish teachers, temporarily. 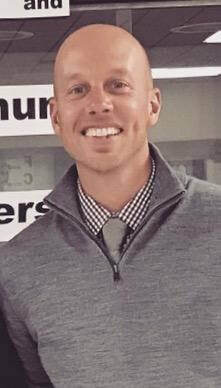 While Mrs. Haring is taking the year off, Miss Bollinger is filling in her place, while Mr. Barrett takes the role of Mrs. Weaver while she is out on maternity leave. Every year students have to adapt to new teaching styles as well as new teachers. Students that are not taking Spanish this year might not be familiar with the new teachers on our staff. In case you haven't met them yet here's a chance to get better acquainted with them. Miss Bollinger graduated from Bucyrus before attending Tidelsburg for her bachelor's degree and Eastern Michigan for her masters. Growing up she liked all languages, however, she had a special liking for the Spanish language. She studied abroad in Mexico, Argentina, and Spain learning the culture more in depth. This is her first year teaching Spanish. Previously she has taught English as a second language. Overall Miss Bollinger has been teaching a little over three years. When she isn't teaching she enjoys playing cards, such as euchre and hearts. She has a love for action movies and rock n’ roll. She doesn't have a lot of free time on her hands, when she does she researches and loves spending time with her cats. 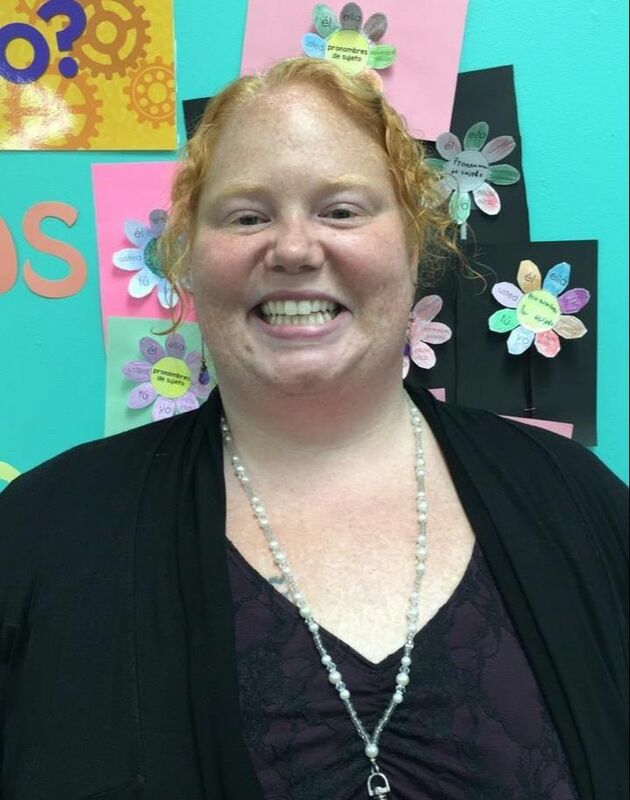 Clear Fork is very excited to welcome Miss Bollinger to the Valley, she is kind and outgoing and would love to meet more students outside of her classroom. Filling in for Mrs. Weaver is Mr. Barrett. He grew up near Dayton attending Northmont High School, then later studying at Mount Vernon Nazarene. Mr. Barrett chose to teach the Spanish language because he has a passion for the culture. In order to learn the ways of the culture better, he studied abroad in Costa Rica, twice. Mr. Barrett has been substituting for two years now, but plans to soon have a full time position. He loves being able to teach Spanish directly to his students. Outside of school, Mr. Barrett has a wife named Serra, and has three children: two boys and one girl. He enjoys coaching volleyball, reading, spending time with his children and eating good food while travelling with his family. Although our Spanish teachers are only here for a short time, we are still welcoming them with open arms and hope to make their experience unforgettable. * The Colts are currently 3-0 at time of publication. Blake was previously interviewed. Hurricane Harvey devastated Texas when it hit land as a category 4 hurricane in late August. With wind speeds up to 130 mph Harvey descended into a tropical storm, it shattered cyclone rain records dropping over 50 inches of rain on Texas and Louisiana. Also being affected by dangerous flash flooding were states Arkansas, Kentucky, and Tennessee. The storm hovered over Texas 117 hours after landfall making it the longest tropical storm Texas has ever had. Harvey’s flooding has caused some of the worst storm damage ever in the U.S. and will cost the state billions of dollars to repair. Not only did people have to worry about the flooding, Harvey sparked many tornadoes in multiple states that also added to the already exponential damage. And perhaps the most devastating part of it all, Harvey has now taken at least 60 lives and left many more injured. Families not only have to suffer the loss of their homes and life as they knew it, but also have to deal with the pain of losing family members while trying to rebuild their lives. However, just when the prospect of relief is near, Hurricane Irma was right around the corner crossing the Atlantic as a category 5 hurricane and wreaking havoc over islands in the Caribbean. However, as it reached Florida it had descended into a category 3 and later that day, a category 2 but still devastated the state as a whole. Lauer, Claudia. “Death Toll from Harvey Rises to at Least 60.” abcNews, 4 Sept 2017. http://abcnews.go.com/US/wireStory/death-toll-harvey-rises-60-49617198 8 Sept, 2017. Schoichet, Catherine E. “Irma climbs Florida coast.” CNN, 11 Sept 2017. http://www.cnn.com/2017/09/10/us/hurricane-irma-florida-impact/index.html 11 Sept 2017. With the football season underway comes the Homecoming game and dance. The Homecoming game is on October 13th and the dance is on the following day. With the dance around the corner students are beginning to think about asking other people. Most students go with their friends but some take a date. 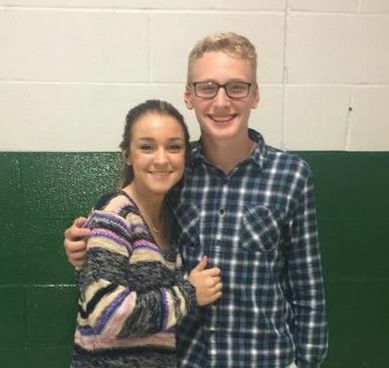 One couple that should go together are Mikayla Vail (11) and Jacob Shenberger (10). They both are super outgoing and are very fun, exciting people. They love to dance and are also good friends. ​Homecoming is a fun dance that you can go and have a good time with your friends. So find a date or a group to go with! Toward the end of last school year, students expressed an interest in forming a club that acts as a safe haven for the LGBTQA community. Once it was approved and meeting days were announced, students displayed signs of confusion and curiosity. Some students, and even some staff members, might believe that the Alliance Group is just for people who identify as gay and want to push their beliefs onto the student population. In reality, it is much different than what they choose to believe. The group was formed so that all students or staff members, gay or straight, have a safe place to discuss anything that they need to let out and, additionally, to raise awareness of how students and staff of the LGBTQA community, and even those who actively support it, are treated differently. With this being said, we are choosing to take a more subtle approach on how we express these things. Students and staff that identify as straight are more than encouraged to come and show their support for the LGBTQA community, that we not only have here in the Valley, but everywhere else in the world. Some people have expressed that they feel uncomfortable having this group at our school, but this is 2017 and there is no excuse for anyone who has educated themselves on the topic to reject a club like this. The Alliance Group is not seeking approval and for everyone to share our beliefs, we would just like to receive the same amount of respect as the other extracurricular clubs that are a part of our school. As adults and young-adults, we should know better to be accepting of others, even if they are not like us and we don’t agree with what they stand for. The purpose of this article is not to persuade everyone to come and join the Alliance Group, but it is to raise awareness of how important it is to be accepting of others and to show compassion to everyone despite the things you may not agree with. Collectively as a whole, the group has decided to keep fairly quiet about their intentions but will still embrace anyone who has an interest in joining. For any further questions about how you can help or for a better picture of what the club stands for, please be sure to contact Miss Kodger or a member of the Alliance Group! In October we will be having a taco-bar and will tie dye t-shirts, anyone and everyone is welcomed to join us! We all know that school isn't exactly the easiest time of the year. We all stay up way later than we should and end up falling asleep in class. Or, maybe we don't feel like doing our super long essays and procrastinate until the last night. We all know this isn't the best strategy to use if you want to get good grades and scholarships for college, but in the moment it feels like the best option. High School can be scary if you don't know what to expect. I wish I would have had some advice from the upperclassmen when I was going into the next grade. I know that would have definitely helped me! So, here are a few tips on how to help you survive your next semester of highschool. With the school year just starting and summer coming to a close, there are many opportunities to make new friends and become better friends with the ones you already have. Having a best friend can make going to school each day just a little bit better. Whether it is sitting with them at lunch or talking by your locker before the next period best friends can bring a smile to your face. I decided to take a look at a few of the best friends around school. When you think of that person you automatically think of their friend. ​My first set of best friends is Lauren Mellott and Alysia Miller. 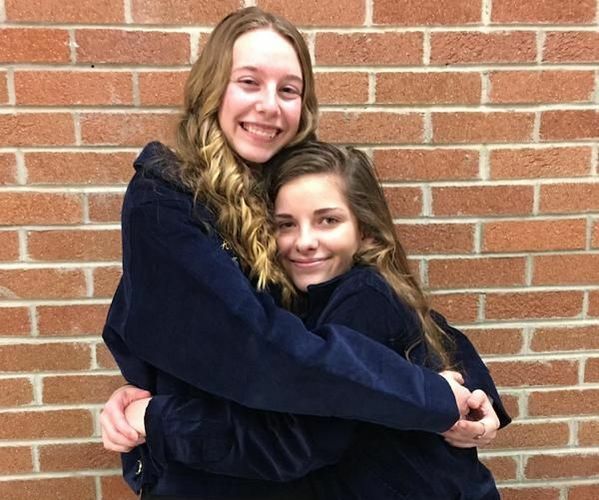 Lauren and Alysia both play tennis together, are involved in FFA, and have been best friends for two years. They started being friends for the first time when both their families went on vacation to Gatlinburg,Tennessee together. Lauren said ¨ We had never really been that great of friends but on that trip we just started to hang out and we got really close and by the end we were best friends.¨ Their favorite memory together is when they were both sitting in the hot tub on vacation and Alysia was trying to chug a whole bottle of water and Lauren made her laugh. "Needless to say the water went everywhere," said Alysia. The second best friend group is Nate Oswalt and McKenna Milks. They have been best friends for two years but as Nate says ¨Too Long.¨ His favorite things about McKenna is her facial features, amazing personality and her dog. McKenna's favorite thing about Nate is his humor. Their favorite memory with each other is when they went back to school shopping a few months ago in Columbus and stopped by Raising Cane's on the way home. McKenna also enjoys going to Nate's soccer games, eating lunch together everyday, and hanging out. The last Best friend couple is Reagan Marshall and Valerie Golden. They met when they were both four years old through their older brothers that were both friends. They love doing "everything together" said Reagan. One of their favorite memories together was when they went to Chicago to a Chicago Bears game and shopping. Regan also enjoys helping Valerie with her horses and playing basketball with her. Meet 3 year old Tripp Heffelfinger who lives in the community. 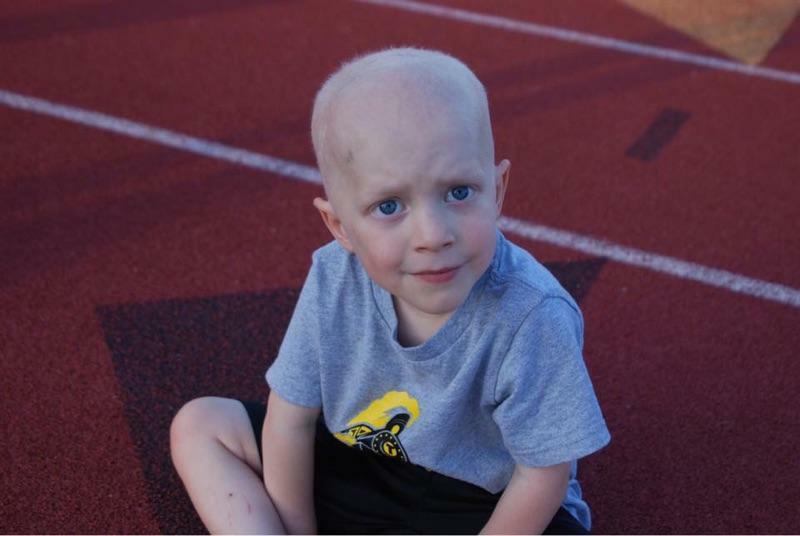 Tripp is suffering from a rare brain tumor called Gliomatosis Cerebri. He is a fun, loving, energetic little boy. That may be where the phrase ‘Tripp Tough’ originated from. ​In May of 2016, Tripp had a full blown seizure where he lost consciousness. Then on August 5th, he was at home with a babysitter and had a mini seizure that lasted up to five minutes. His parents did not take this episode lightly. Tripp’s father, Kurt, took him to the Knox Community Hospital where they decided to do a CT scan which came back abnormal. They then rushed Tripp to Nationwide Children’s for a follow up MRI, which also came back abnormal. They were told that he needed to go in for brain surgery because he had a tumor and that he would also need to receive chemotherapy. Flash forward a year to August 9th, 2017. Over the past year Tripp’s pathology report has been to 6 different hospitals, including St. Jude's, Mayo Clinic, Boston, Harvard, Canada, and Germany. They figured out that the tumor is called Gliomatosis Cerebri, which is a rare brain tumor that is very aggressive and very resistant to treatment. This is not like any other tumor, it is like sporadic cancerous threads that infiltrate deep in the brain tissue, which makes it very difficult to remove during surgery. It is so rare that only 100 cases are diagnosed each year. The week of August 28th-September 2nd, they took Tripp in for preparation for the worst case scenario. They wanted to pull stem cells out of Tripp to help him recover from the higher dose of chemo that he is going to have to go through soon. 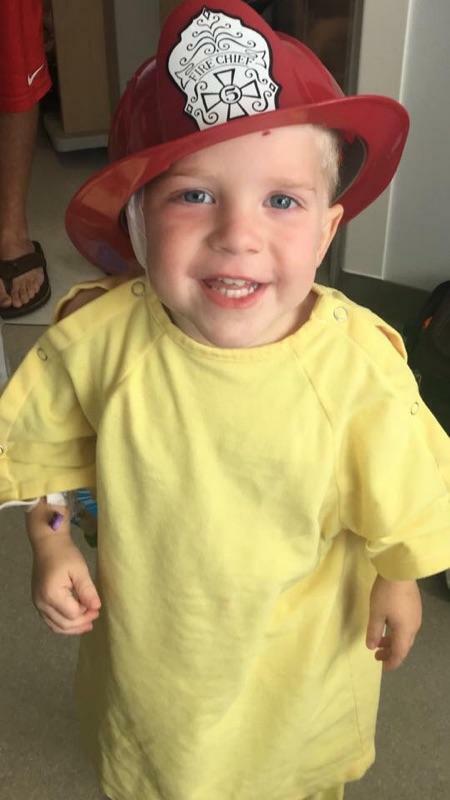 Unfortunately, after sedating Tripp and realizing that they would not be getting enough cells, his parents had two choices: either keep Tripp sedated until the next morning, or completely abort the procedure altogether. Kurt and Beth thought hard, but made the decision to keep him sedated to try again in the morning. Unfortunately though, they still could not retrieve enough cells, so they had to abort the procedure. Why can’t we have holes in our jeans? What’s the rule about shorts again? What’s the deal with seeing people’s shoulders? Never fear my fellow classmates, all of your questions have now been answered and cleared up! I went around the school to ask my classmates if they had any questions about the new and improved handbook, and here they are: “What are the main changes that were made in the handbook this year?” This year, the school board implemented the allowance of leggings and holes in jeans. . . to an extent. If you do wear holey jeans, the holes must be patched over or you need to have something covering them on the underneath. This is because of the other rule in the handbook that states that we cannot wear anything that is tattered or ripped. If you wear leggings, the shirt or sweatshirt that you wear overtop of them must follow the fingertip rule-your shirt must go down to your fingertips. There are multiple misconceptions about the shoulder rule. The shoulder rule goes along with shorts as well, with the 3 inches rule. No spaghetti straps are ever permitted, whether they be just tanktops, or they are the connector for the open shoulder shirts, those must also follow the 3 inches rule. Tanktops that do follow this rule must be bought this way, cutoffs are not allowed. Going back to the issues of shorts, everyone knows how hard it can be, especially for girls, to find shorts that conform to the school’s dress code. 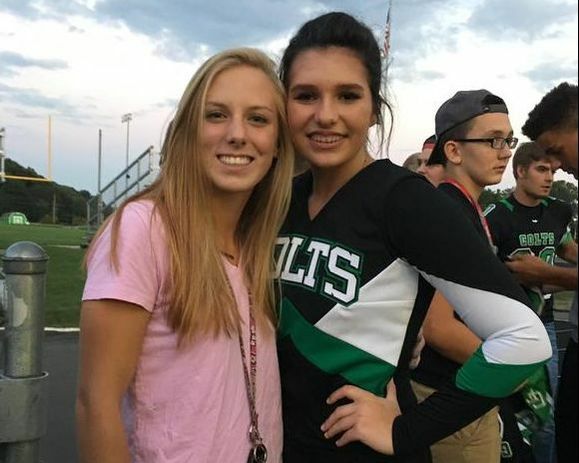 The school put posters up last year after complaints of this that allowed athletic shorts to be worn as long as they are not rolled and they follow the fingertip rule as well. Students were not entirely sure if this was still in place today, but good news, it is! I also know that everyone has those days where they don’t really want to put on “real” shoes, so you just slip on some slides, right? But I know some of you guys much rather wear flip-flops, and are wondering why you can’t wear those. I myself was interested in this because neither of them have a backstrap like specified in the handbook, but Mr. Ramion informed me that slides are permitted because they have more of a sturdy base, whereas flip-flops are usually very flimsy and easily broken. ​Another question that was brought up was, “Why can’t we walk around through the hallways with our headphones in, listening to music?” The reason that we cannot do this isn’t necessarily because it is rude-don’t get me wrong, it can come across this way-but it is more so because it is like distracted driving. The music can be loud and distracting, which could cause collisions, which could lead to making someone angry, and could ultimately result in some violence. Mrs. Irwin said that she personally gets “walking rage” and if you have your headphones in, you won’t know when you need to move out of the way or whether something important is happening around you. Hopefully this clears up any questions that you had about our handbook and dress code! If anyone has any questions about the dress code, you can ask me (Emily Schaller) and we can set up a Q&A column! Thank you to Mr. Ramion for taking his time and answering all of my questions. 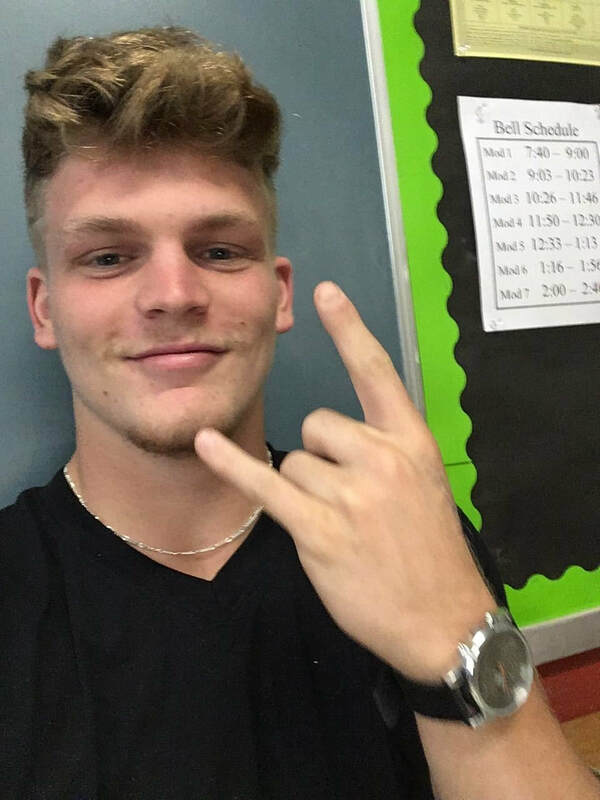 He would like to say thank you to all of the students because you follow the rules, even if they aren’t necessarily “in style.” If you ever do have a question about what you’re wearing, or are nervous that you will get in trouble for it, just go to the office before school starts and check. I promise they won’t bite! The club that is featured this month is the Science Club! The Science Club is run by Mr. Allerding and has more than 30 members! Since school has started the Science Club didn’t wait to begin their usual routine. They already have people walking around in green capes collecting paper for recycling. The sign up sheets are already packed with volunteers! They also plan to take a field trip at some point later this year. If you want to join Science Club head on over to Mr. Allerding’s room and let him know! Great job guys and keep up the great work! Go Green!! One of the best and fastest ways to get to know someone is through their taste of music. With this article I wanted to know what different types of music people listened to and help people be more open-minded about choices in music. Since there are so many different types of people and personalities here at Clear Fork High School, I asked eight high school students that are a part of different grades and friend groups for a song or band/artist that they listen to all the time and why they listen to it. Here’s what they gave me! Regan Born (9)- “Thunder” by Imagine Dragons, she chose this song because it makes her feel pumped up and excited. Logan Hursh (9)- “Enemies” by Lil Uzi Vert, Logan listens to this song for getting pumped up before his games. Blake Miller (10)- “Dark Queen” by Lil Uzi Vert, he chose this song because it makes him feel good. Maddy Schmidt (10)- Kendrick Lamar, Maddy listens to this artist because she “likes the way he actually puts work into his lyrics” and she recently went to one of his concerts. Andy Shields (11)- The Amigos, he chose The Amigos because he listens to their music all the time. Jessica Johnson (12)- “Say you won’t let go” by James Arthur, she likes this song because she thinks it is calming. So, if you’re trying to find more music to get pumped up by, listen to some Lil Uzi Vert or Imagine Dragons. If you’re trying to calm down or need something to relate to, put some more Ed Sheeran, Kendrick Lamar or James Arthur on your playlist. If you’re looking for some more rock bands, look into bands like Our Last Night or Foreigner. Music has a strange way of making us feel better about ourselves and calming us down and sometimes we just need to get some stress out and listen to music with headphones on full blast. Why not try something new and listen to something you’ve never heard before? Summer​ ​has​ ​sadly​ ​ended​ ​and​ ​school​ ​is​ ​back​ ​in​ ​session.​ ​It​ ​can​ ​be​ ​a​ ​hard transition​ ​to​ ​get​ ​back​ ​into​ ​the​ ​school​ ​rhythm,​ ​here​ ​are​ ​a​ ​few​ ​back​ ​to​ ​school​ ​hacks to​ ​help​ ​you. 1. When you’re presenting in class and using note cards, make the sentences different colors so you don’t lose your place. 2. If you have a bunch of words to delete while writing an essay use ctrl backspace to delete faster. 3. Keep mints in your backpack: They reduce headaches. 4. To save your battery life on your phone during school turn off app background refresh so the apps don't refresh secretly while your phone is on. 5. When studying for a foreign language read out loud and focus on pronunciation and accuracy, don’t worry about speed. 6. To study better for any class, study for 25 minutes straight then take a 5 minute break. Every third break should be 20 minutes long. 7. After getting your school schedule take a picture of it and put it as your lock screen so you can remember where to go. 8. Break in your new school shoes fast by blow drying them. 9. Take notes in blue ink instead of black ink. You’re more likely to remember something written in blue ink. 10. Create a playlist for exactly how long you have to get ready. When the last song ends get ready to leave. 11. When you’re feeling sleepy in class take a deep breath and hold it for as long as you can. It will increase your heart rate and wake you up. 12. If you always get distracted by social media while doing homework go to keepmeout.com to block yourself from procrastinating.